Posted February 10, 2019 at 12:38 pm . 0 comments. 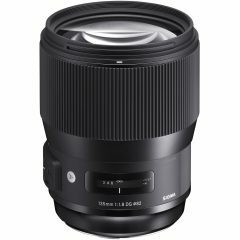 B&H Photo Video is discounting the Sigma Art 135mm f/1.8 DG HSM for Canon — it’s now only $1078.99, and includes a free Sigma USB dock. Save $320 from the regular price of $1399! Use Coupon Code “YOUGO2BH” to activate this price.